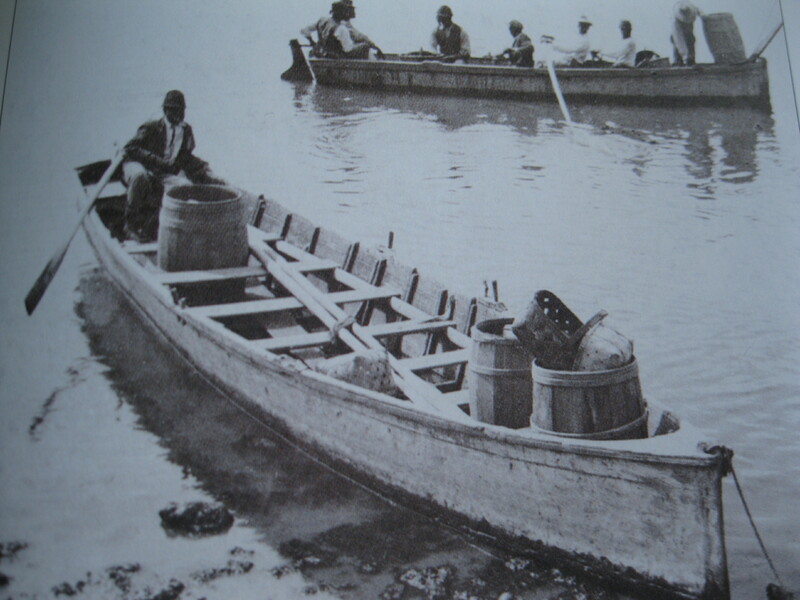 The fishing industry in colonial Charleston was heavily dependent on the work of slave boatmen who were allowed by law to own their own vessels. Numerous accounts can be found of slave sales that advertise “skilled boatmen”, as well as plenty of stories about slaves who brought fish-catching and boat-handling skills from West Africa. Many of the early boats were hewn from large cypress logs and propelled by sails made from strips of home-made quilts and blankets. Launching from wharf areas along the Cooper River near the public market, these black boatmen sailed miles out to see without maps or compasses, but found their way by dead reckoning out to black fish banks to bring back hulls full of tautog, whiting, porgy and shark that was sold on the streets of Charleston. There was seemingly safety in numbers, and the fisherman would go out together as what became famously called “The Mosquito Fleet”. Long after emancipation, descendants of former slaves carried on the fleet’s tradition, but suffered severe losses in terrible storms in 1904 and 1915, which decimated their ranks. I interviewed one of the last of the Mosquito Fleet crew for a TV story in 1985, long after he had given up the fishing tradition. He told me that those generations of fisherman welcomed the treachery of open sea, which offered an unparalleled sense of freedom and accomplishment.